The only full-sized keyboard for notebooks! If you love the portability of your notebook, but hate its cramped keyboard, the NoteBoard is the answer! The NoteBoard's adjustable feet allow you to position the NoteBoard directly over your notebook's keyboard, while its comfortable built-in wrist rest provides extra support. With the NoteBoard, you get the feel of a desktop without the expense of a docking station. The NoteBoard works with ALL PC-compatible notebook computers. It's the perfect add-on to your notebook system! If you are looking for a full-size keyboard with numeric keypad that is still portable as a laptop accessory, then the Folding Keyboard from Matias is the keyboard you want. When opened it measures 18" wide, 5" deep, and 0.87" thick, and when closed only 10.08" wide, 5" deep, and 1.18" thick. 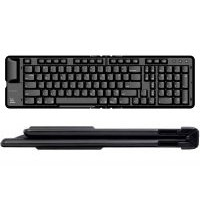 The keyswitches are high-quality dome switches (low travel); the Matias Fn key also allows quick and easy access to keys that normally require a long reach - Arrow keys, Page Up, Page Down, Delete, and others can now be typed right from home row, without moving your hand. 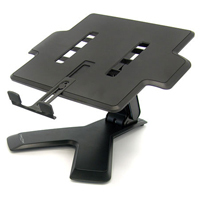 The TabStand Multi-function Stand for iPad 2 from Aidata is a lightweight and portable stand for holding and displaying your iPad either in hand, on your desk, or by hanging. 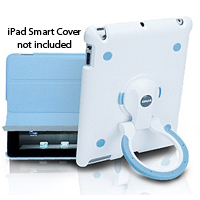 Made of durable hard plastic on the outside and soft rubber on the inside, it is easy to assemble and configure in landscape or portrait orientation. 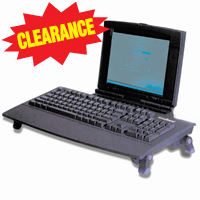 The VuRyte LapRyser offers better positioning of your laptop computer. Height settings are 1.25" and 2.5". 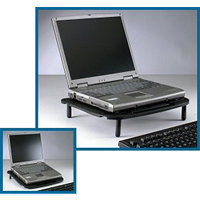 The accompanying Liberator Document Holder can be mounted either right or left to keep your documents readily available and freely pivots out of the way as required. Cable clutter is kept to a minimum with convenient cable routing and clips with ventilation openings to reduce heat buildup. 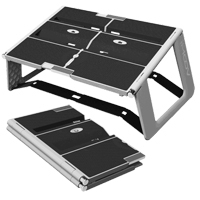 The Neo-Flex Notebook Lift Stand from Ergotron can elevate a notebook or laptop screen to an ergonomically correct height. It can also double as an projector riser. Height is easily adjusted through a 6-inch range, 4.25" vertical and up to 6" when tilted. The upper notebook platform tilts through a 40° for optimal positioning for elevation, reduce glare or to adjust projector angle. Small wheels incorporated into the legs provide a full 360° range of rotation. 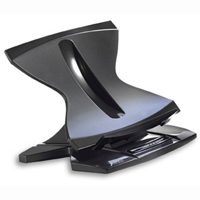 This stand will support products up to 14 pounds.